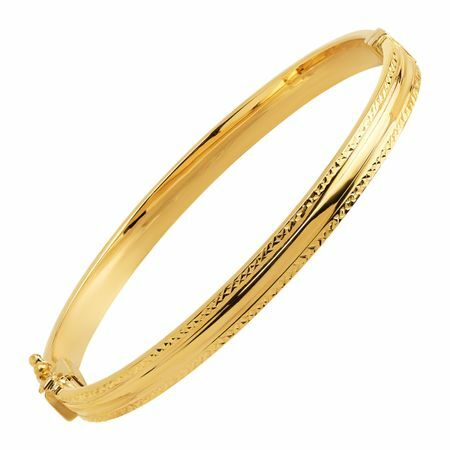 This chic bangle is perfect for adding style to your everyday outfits. A diamond-cut design is set on both sides of the bangle for added texture and dimension. Crafted in 14K gold, with a hinged opening for easy wearing and a box clasp. Piece measures 7 by 1/4 inches.